The University of Illinois at Urbana-Champaign ranking is 24th best college USA and 26th in the world on the University Review College Ranking Lists. 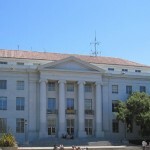 It is ranked as the 42nd best college by the USnews. Forbes ranks it as the 68th best college in the nation. The University of Illinois at Urbana-Champaign tuition fees are $15,602 for in-state and $30,228 for out of state students. It is a moderately selective college taking in 62.4% of applicants. University of Illinois Urbana-Champaign photograph by miracc. The requirements for ACT (25th-75th percentile) are Composite 26 – 31, English 26 – 32, Math 26 – 33, and Writing 8 – 9. University of Illinois at Urbana Champaign (UIUC) is located in the united states of America and was founded in 1867, it is a land and sea grant institution. It was initiated by the Morrill Land Grant Act It is located in a campus of around 1460 acres in Urbana City. There are around 30,500 undergraduate Illinois students and approximately 9,200 postgraduate scholars, in addition to the 2,000 staff and faculty. The University of Illinois at Urbana-Champaign, IL has an endowment of 1.66 billion US dollars. The Chancellor is Phyllis Wise. The schools mascot is Chief Illiniwek, the sports team is know as the Fighting Illini, and the schools colours are Orange and blue. The libraries hold over 10 million bound volumes. It is a member of the Big Ten conference and the Worldwide Universities Network Undergrad rankings. The UI Urbana Champaign libraries make up the third largest academic library in the USA. They hold a total of ten million book volumes, and millions of other reference sources such as microfilms. There are 41 libraries in total in the system, with the main one being the largest single library; holding over seven and a half million volumes. 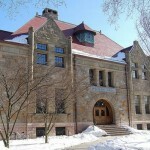 As a Public Ivy institution, the education offered is similar to found at places like University of Maryland, University of Wisconsin at Madison, University of Texas at Austin, and University of Washington. Other Illinois colleges include Loyola University Chicago, University of Illinois Chicago, Northwestern University and the University of Chicago. Also known as the U of I and UIUC.